The lovely team at Original Cocktails recently sent me some of their amazing cocktails to try for myself. Now, if you haven't yet heard of Original Cocktails, they're the makers of some ingenious products - pre-made cocktails! Perfect for parties, sundowners, lazy evenings, you name it! I was given two varieties to try, the Cosmopolitan and the Mojito (both cocktails that I LOVE!). I enjoyed both of these cocktails immensely! The Cosmopolitan mix had a good balance of the tartness of cranberry with the zest of citrus. (Also, no-one say anything, but my brother also totally enjoyed his glass of cosmo! )(I served it to him in a whiskey tumbler, so it was totally manly.) The Mojito mix was pleasantly minty, with a nice lime finish. 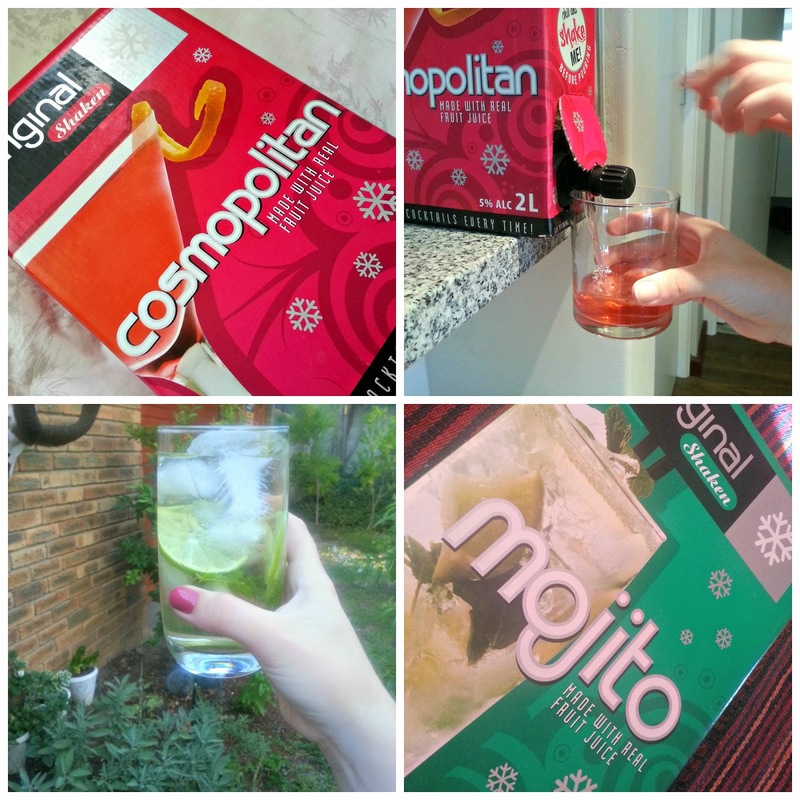 Both the Cosmo and Mojitos had just enough of a "kick" without overpowering the flavour. (Ever had one of those cocktails where all you can taste is the alcohol? Awful.) Both mixes are great "as is", but for a little something extra, can be enjoyed with a bit of a twist. For example, I added some lime slices and mint leaves to some of the Mojitos for some extra pizazz - no need to leave home for first-class cocktails! You can bet that I'm going to be picking up some more boxes of these in the immediate future - they're great to keep in the fridge for a lazy & convenient end-of-day cocktail. I also think that this is the perfect ingredient to a party - no need for someone to be stuck making cocktails when they can be available on tap! Now for the fun bit: I've also been given a party pack to give away to a lucky Whimsy Is Forever reader! 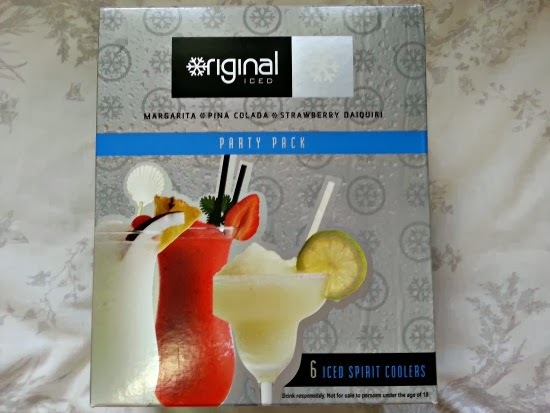 This pack includes six individual cocktail sachets: Cosmopolitan, Mojito, Margarita, Singapore Sling, Pina Colada and Strawberry Daquiri! How great does that sound? This giveaway is open to South African residents over the age of 18. To enter, please use the widget below. 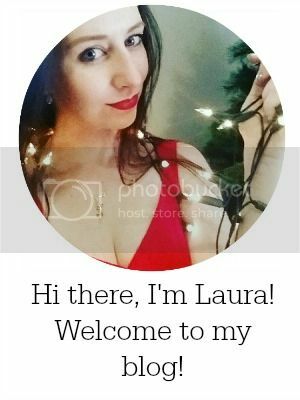 The only compulsory entry is to leave a comment on the post. Make sure that you leave your email in the comment so that I can contact you if you win! You can earn extra entries as stated (please note, you can earn an extra entry every day by tweeting about the giveaway, but these entries only register if you use the widget). The winner will be announced on Friday the 21st of February 2013. Good luck! Cool - been keen to try it. i LOVE the Original cocktails! I love Cosmo's! Especially if you add a little bit of cherry liqueur to the mix :) Happy V-day! Awesome...love to try them all. BTW, great packaging. I love the Mojito's. Seriously good party drink! In one months time i am throwing a huge Great Gatsby themed birthday party at my house, these mixtures would be absolutely perfect for this event. Oooh, wouldn't mind some of these for weekends spent lazing by the pool! Mojito - was the best tasting cocktail I ever had in Barcelona, Spain!